Seik added a comment to T3299: ElectronPDF for private wikis. It stil does not work for my (private) jcswiki. What should i do? Seik closed T3210: jcswiki: login error as Resolved. Seik added a comment to T3210: jcswiki: login error. Seik updated the task description for T3210: jcswiki: login error. Seik renamed T3210: jcswiki: login error from login error to jcswiki: login error. Seik created T3210: jcswiki: login error. 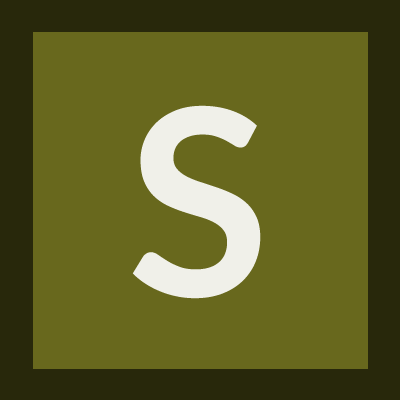 Seik added a comment to T2518: PDF export for wikis spevt and skgy. @Reception123 would be great for jcswiki, too! Seik added a comment to T2933: request a CSR. So lets use lets encrypt. What should i do? I'm Not quite sure whats the difference for me. I have my website at Strato and tried zu use my custom domain fpr the wiki! But it doenst work until now. Seik created T2933: request a CSR. Seik added a comment to T2556: pdf export (mediawiki ElectronPdfService) @jcswiki. Seik added a project to T2556: pdf export (mediawiki ElectronPdfService) @jcswiki: Extensions. Seik added a project to T2556: pdf export (mediawiki ElectronPdfService) @jcswiki: Extension-Review. Seik added a comment to T2575: docx-upload failure (MIME type detection) on jcswiki. First picture: "File extension does not match MIME type"
second picture: ""The file is a corrupt or otherwise unreadable ZIP file. It cannot be properly checked for security"
Maybe "$wgVerifyMimeType = false;" will help? Seik updated the task description for T2575: docx-upload failure (MIME type detection) on jcswiki. Seik created T2575: docx-upload failure (MIME type detection) on jcswiki. Seik created T2556: pdf export (mediawiki ElectronPdfService) @jcswiki. Seik added a comment to T2526: Extension "New User Email Notification" on jcs.miraheze.org. Any chance to get the extension? Maybe i could help somehow..
Seik added a comment to T2506: Login exception error on metawiki (from jcswiki). And there is a new exception.. Just a try to set a new admin (JCS-Admin). Seik created T2526: Extension "New User Email Notification" on jcs.miraheze.org. Seik created T2506: Login exception error on metawiki (from jcswiki). Seik added a comment to T2478: Changing the logo an jcs.miraheze.org. Seik added a comment to T2467: change the favicon on jcs.miraheze.org. Thank you! You guys are doing a great job! Seik created T2478: Changing the logo an jcs.miraheze.org. Seik created T2467: change the favicon on jcs.miraheze.org. Seik added a comment to T2439: 3 extensions on jcs.miraheze.org. Thank you for the extensions! Seik renamed T2439: 3 extensions on jcs.miraheze.org from 2 extensions on jcs.miraheze.org to 3 extensions on jcs.miraheze.org. Seik created T2439: 3 extensions on jcs.miraheze.org.